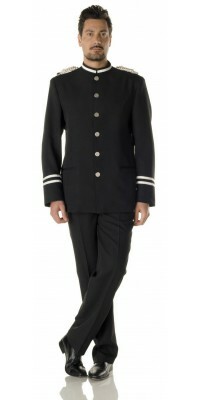 Porter Doorman There are 15 products. 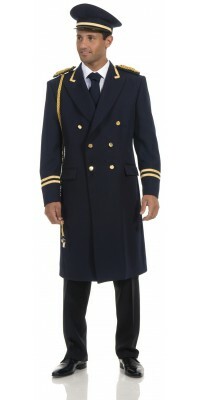 Men's overcoat with gold braid, model San RemoNavy Blue colour - Linedwith string for whistle and gold epaulets Immediately available for delivery: sizes from S to XL Made of Gabardine Plus, 100% Pol. 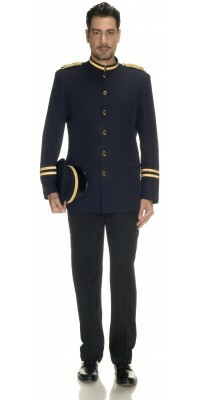 Unlined jacket with mandarin collar, model San MarinoGold epaulets includedGrey, with gold braid on the sleeves and on the collar Immediately available for delivery: sizes from S to XL Made of Gabardine Plus, 100% Pol. 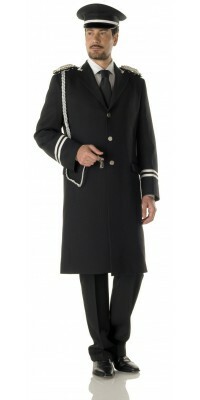 Men's overcoat with silver braid, model Savoia Black colour - Lined with string for whistle and silver epaulets Immediately available for delivery: sizes from S to XL Made of Gabardine Plus, 100% Pol. 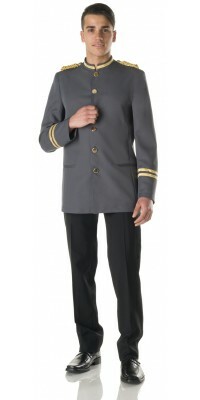 Unlined jacket with mandarin collar and silver braid, model San Marino Silver epaulets included Black colourImmediately available for delivery: sizes from S to XL Made of Gabardine Plus, 100% Pol. 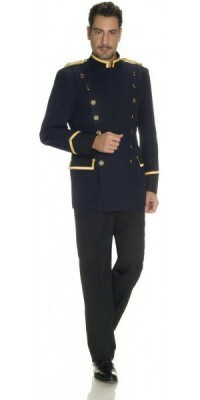 Unlined double-breasted Jacket with mandarin collar, model JesoloBurgundy with Black profileswith gold braid and two rows of golden buttonscomplete with gold epaulets (included in the price)Immediately available for delivery: sizes from S to XLMade of Gabardine Plus, 100% Pol. 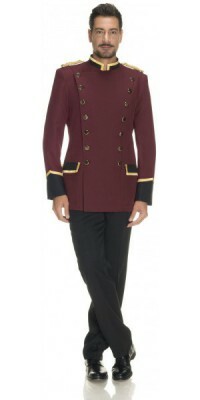 Unlined jacket with mandarin collar and gold braid, model San Marino Burgundy colourGold epaulets includedImmediately available for delivery: sizes from S to XL Made of Gabardine Plus, 100% Pol.